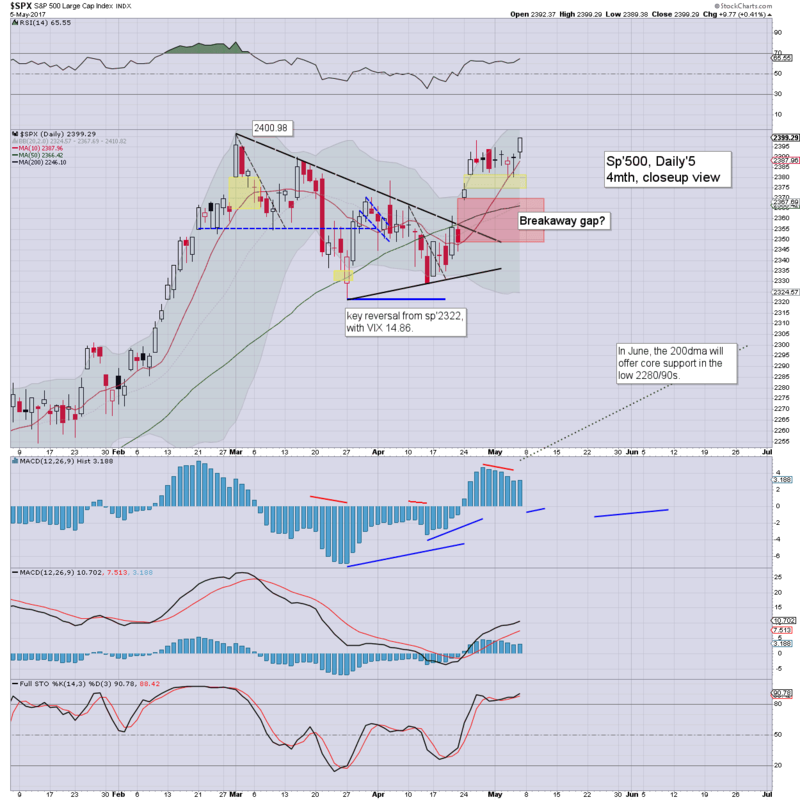 The mid term bullish trends remain intact for all US equity indexes, as corporate earnings and various econ-data continue to come in broadly 'reasonable'. For the moment, there is zero sign the bullish train is about to come off the tracks. The year end target of sp'2683 also appears to remain on track. The Friday close of 2399 was a mere 0.1% below the March 1st high of 2400.98. Next Monday's open offers a gap straight to new historic highs. Underlying MACD (blue bar histogram) cycle is on the high side, but there is zero sign of a turn lower. 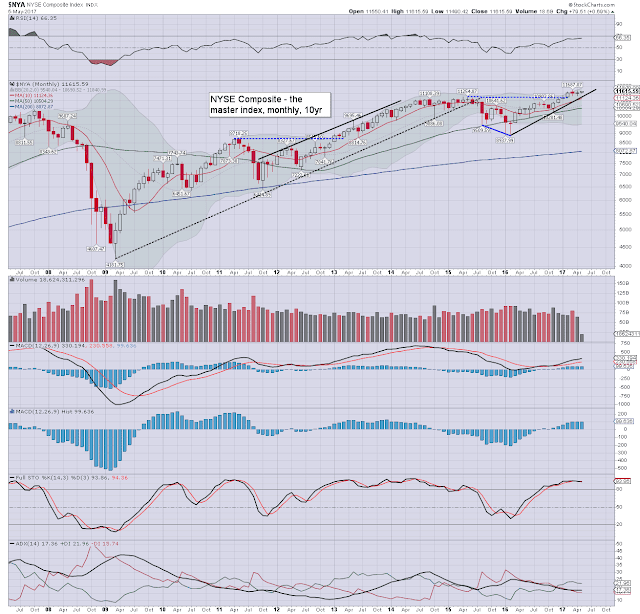 The key 10MA is at 2269, and will be close to 2300 in June. Best guess: near term upside to the 2420s, with the 2440/60 zone viable in mid/late June. The 2500s appear viable as early as September. 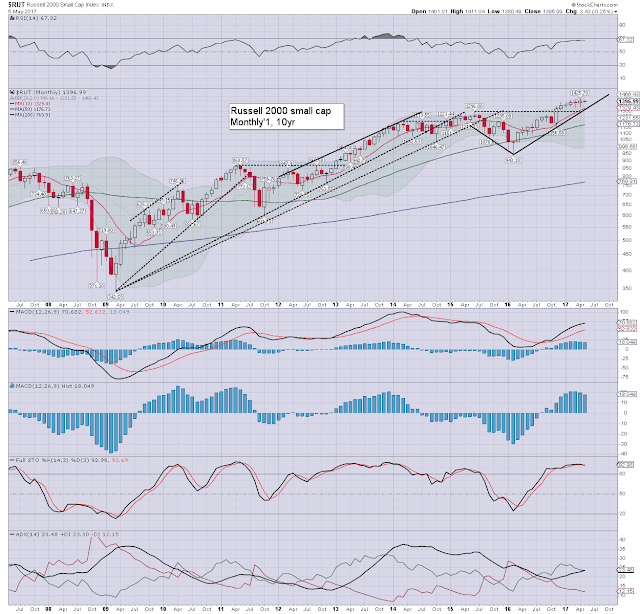 The year end target of 2683 remains on track, not least if the fed raise rates a fourth time this year in December. 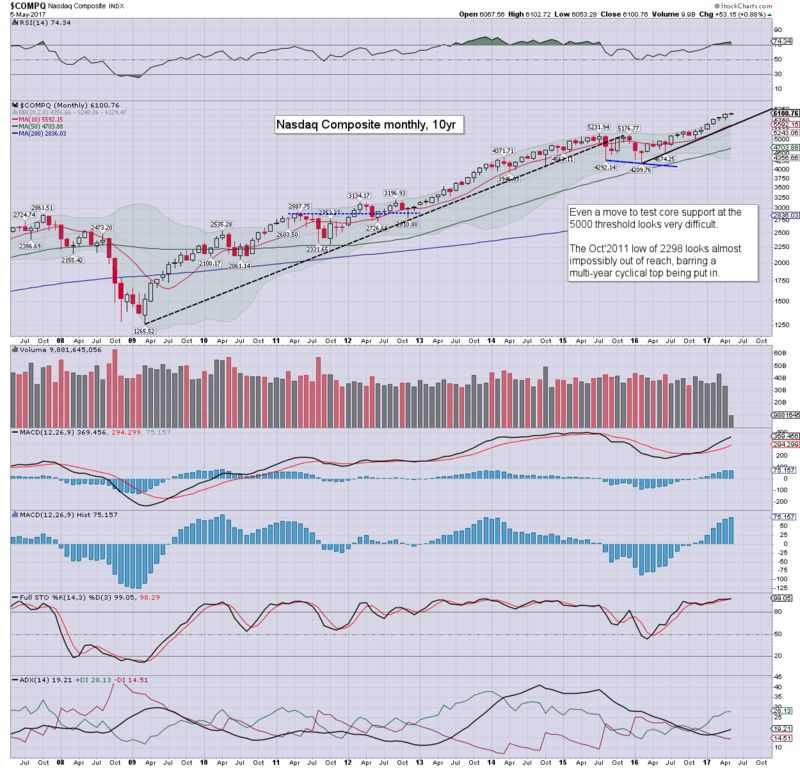 Equity bears have nothing to tout unless a break under the key 10MA, which is currently at 2269, and rising by around 20/25pts a month. The tech continues to lead the way, currently higher for a seventh consecutive month, with a new historic high of 6102. 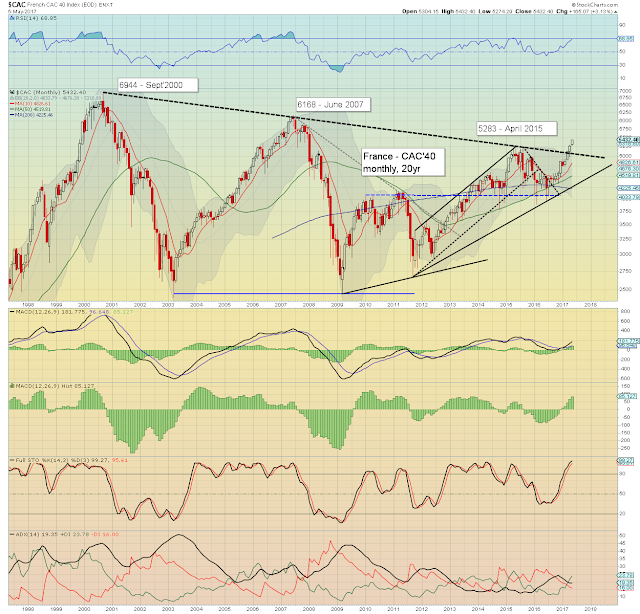 There will be some resistance within the 6130/40s, but the 6200s now seem probable in June. Core support of 5K is now a clear 20% lower, and looks secure as the floor in the next major bear market collapse wave. Its notable that the 10MA is very much in sync with rising trend. 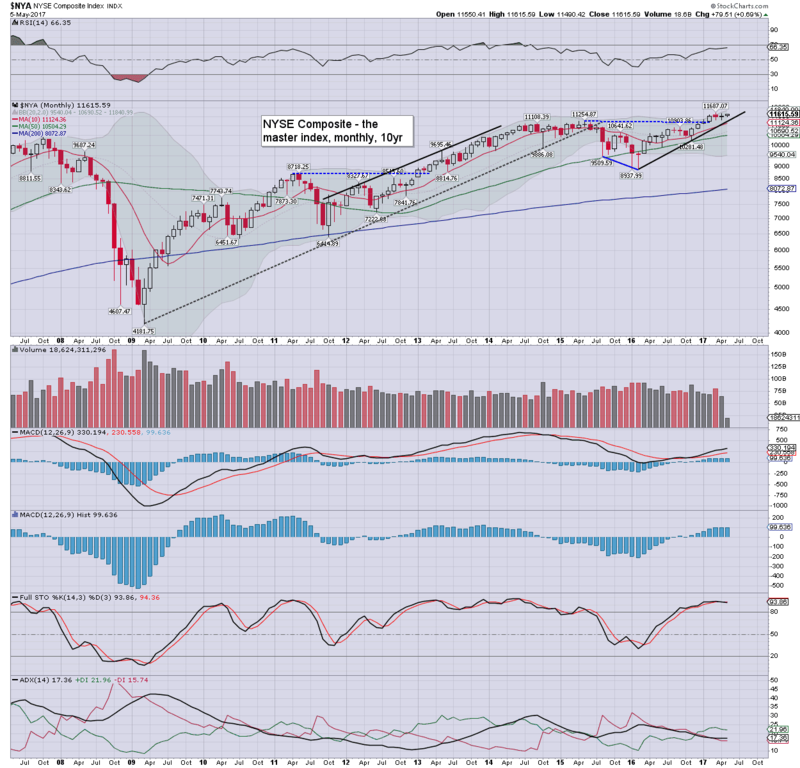 The mighty Dow saw a weekly close of 21006, as the March high of 21169 is a mere 0.5% away. Upper bollinger will soon be offering the 21400s, with the 21500/600s in June. 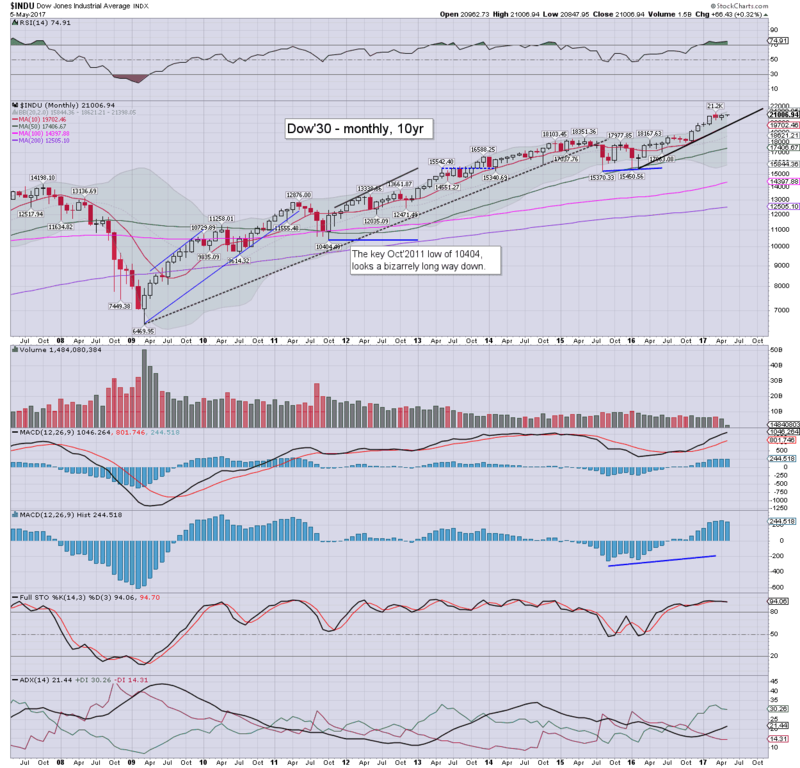 The key 10MA is in the 19700s, and will be close to the giant psy' level of 20k in June. Indeed, 20k is now first big support. 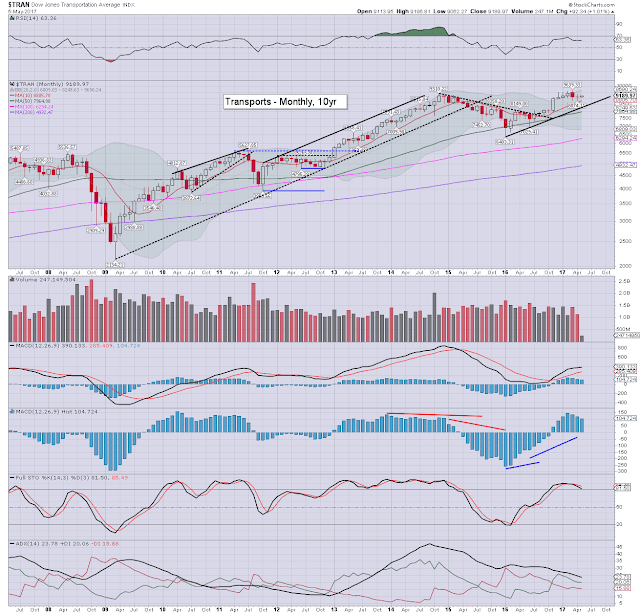 A yearly close around 23k is very much within range. The master index has seen a great deal of chop since late February. New historic highs >11687 appear due before end month. First big support is the 11000/10900 zone, and that looks rather secure across the summer. A year end close around 13k appears realistic. The second market leader saw a new historic high of 1425 just last week. Upper bollinger is offering the 1460s, and the 1500s seem a given this summer. Things only turn bearish with a break <1300, although that number will have climbed to 1500 in Nov/Dec. The 'old leader' - Transports, remains something of a market laggard, and is currently -4.9% below the March high of 9639. 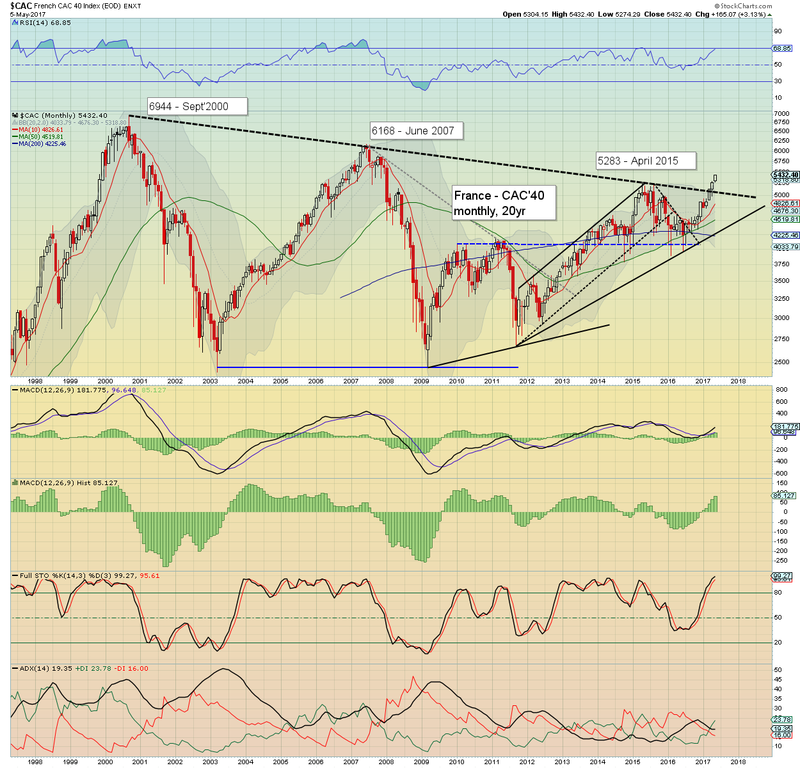 Upper bollinger is offering upside to the 9690s, and that will climb to around 10k by July. A year end close in the 11000s appears viable. 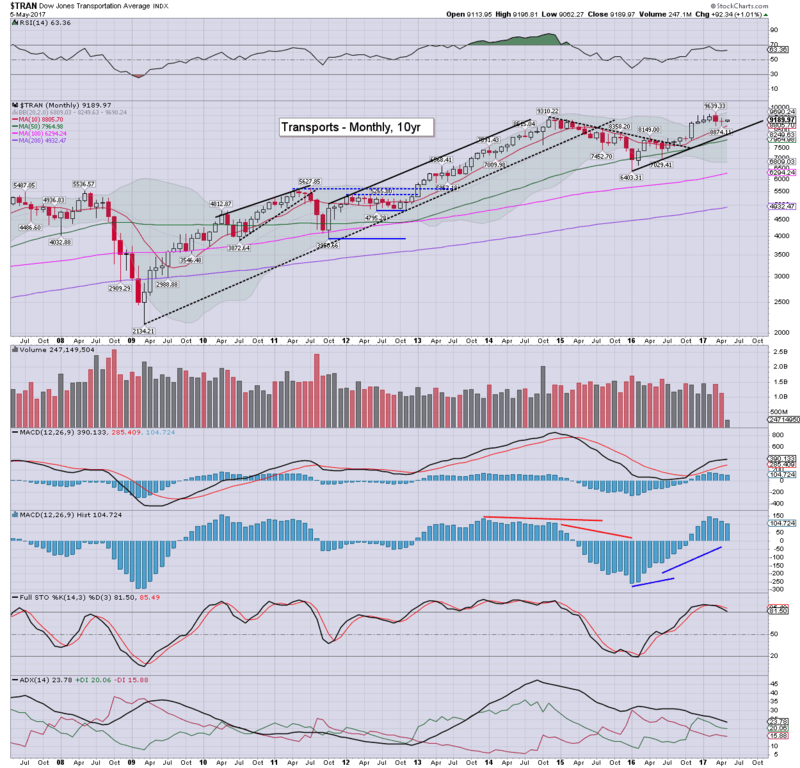 The Nasdaq comp' continues to lead the way, regularly breaking new historic highs, with the Transports continuing to trail. Most indexes have around 5% of downside buffer before key aspects of support are challenged. Right now there is simply ZERO sign of the mid term trend - that began in early 2016, from concluding. March saw a marginal breakout, April was decisive, and May has already seen further sig' gains of 3.1% into the 5400s. The 6000s look a rather straight forward target. By default, strength in the French - and other EU markets, bodes bullish for the US. Sunday will see round'2 of the French election. On balance, Macron is set to comfortably win, as Le Pen looks like she can only garner 35/40% of the electorate. If that is indeed the case, the mainstream will be pleased. 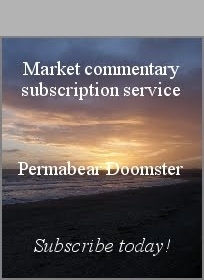 *there are a fair few fed officials on the loose, and Mr Market will continue to listen for any chatter about a June hike, and an eventual reduction in the balance sheet. 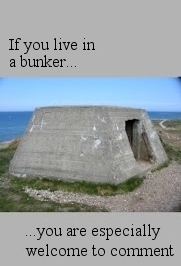 If you value these posts, subscribe to me. US equity indexes closed moderately higher, sp +9pts at 2399. The two leaders - Trans/R2K, both settled higher by 0.6%. 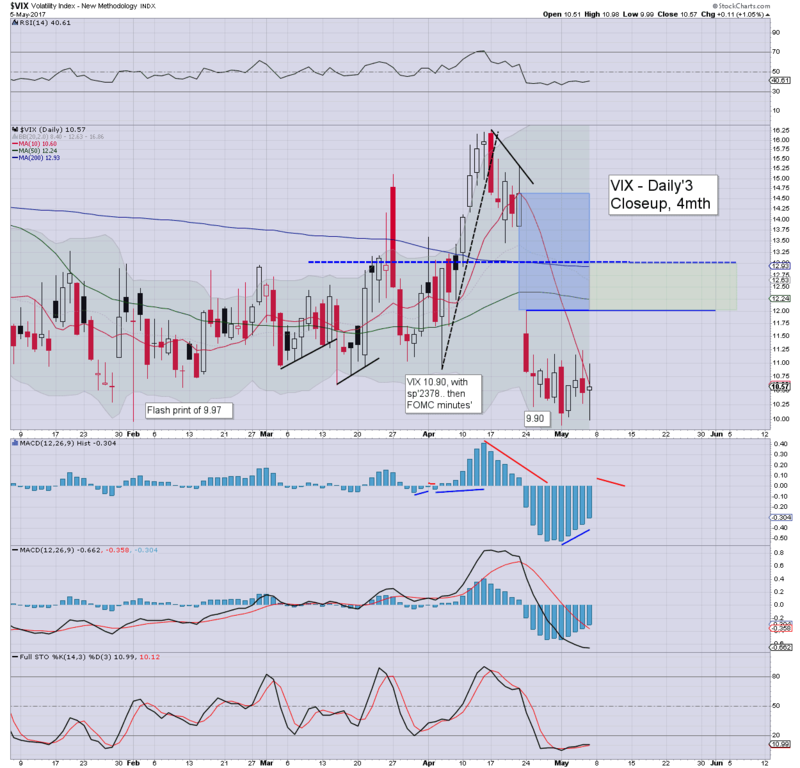 VIX settled +1.0% to 10.57. Near term outlook offers a gap open to new historic highs next Monday, with a 'President Macron' victory. It was yet another broadly subdued day for the US equity market, with a trading range of just 10pts. 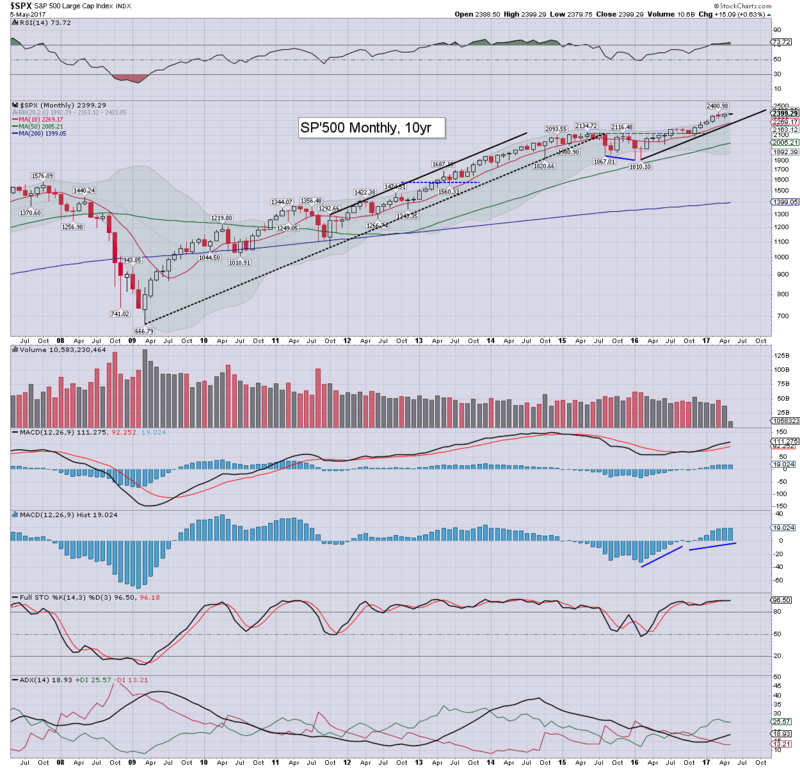 The day did end surprisingly bullish though, with the sp' coming within just 2pts (0.1%) of the March high of 2400.98. 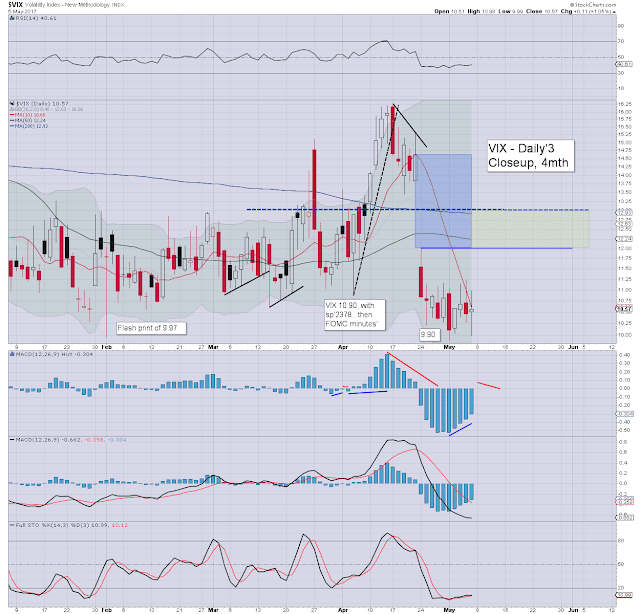 Market volatility remains extremely low, and its notable we saw a print of 9.99 in pre-market. The 9s are becoming more regular. It has to be asked if the 8s or 7s will be seen late this summer? As earnings and the econ-data continue to come in 'reasonable, the fed is becoming more bold. 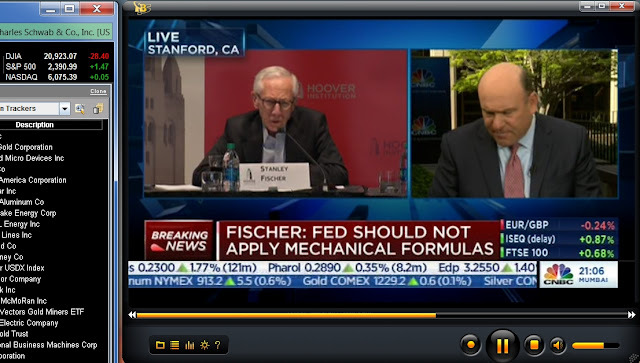 Today we saw Fed vice chair Fischer argue how the fed doesn't need any set of fixed rules. The fed will 'better decide by commitee'. Oh yeah, cause that worked out so well in 2000 and 2007, right? This increase in confidence is merely another sign that we are approaching the next bubble top. To be clear, that still looks another year away, not least as other world markets are increasingly strong. No one should doubt the fed are 100% reactive, they've never had the sense to attempt to pre-empt a looming collapse or hysteria-boom. Rates are set to be raised in June, and probably another 4-6 times before things max out. Further, the fed will even start reducing the balance sheet, but by the time the next recession appears, it will likely still total $3.5trn. .. and that is perhaps one of the greatest endings to any movie. This market remains no fun fairground ride for those still trying to short.